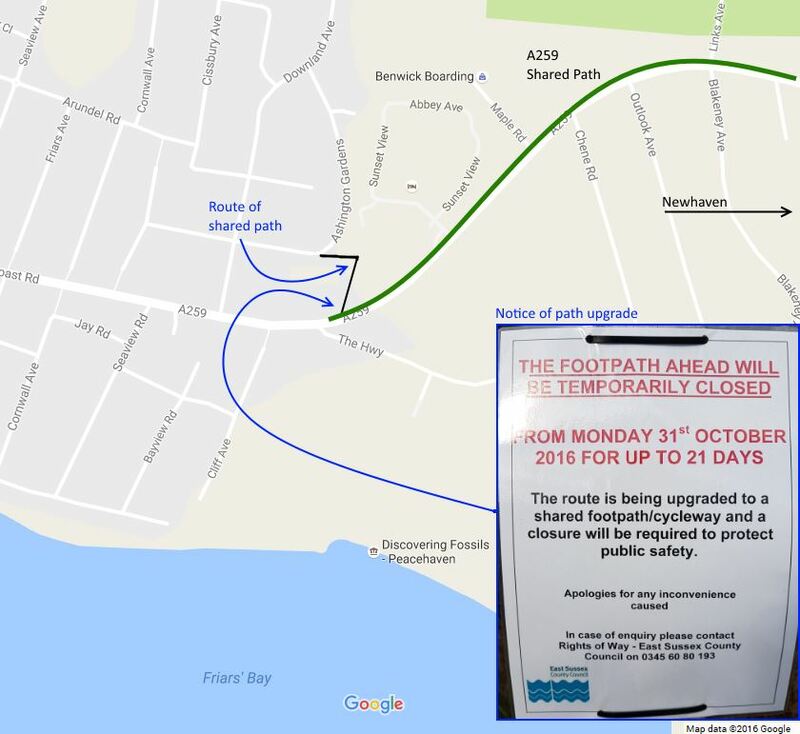 The footpath at the end of the A259 walking/cycling path between Newhaven and Peacehaven is being upgrade to allow cyclists. 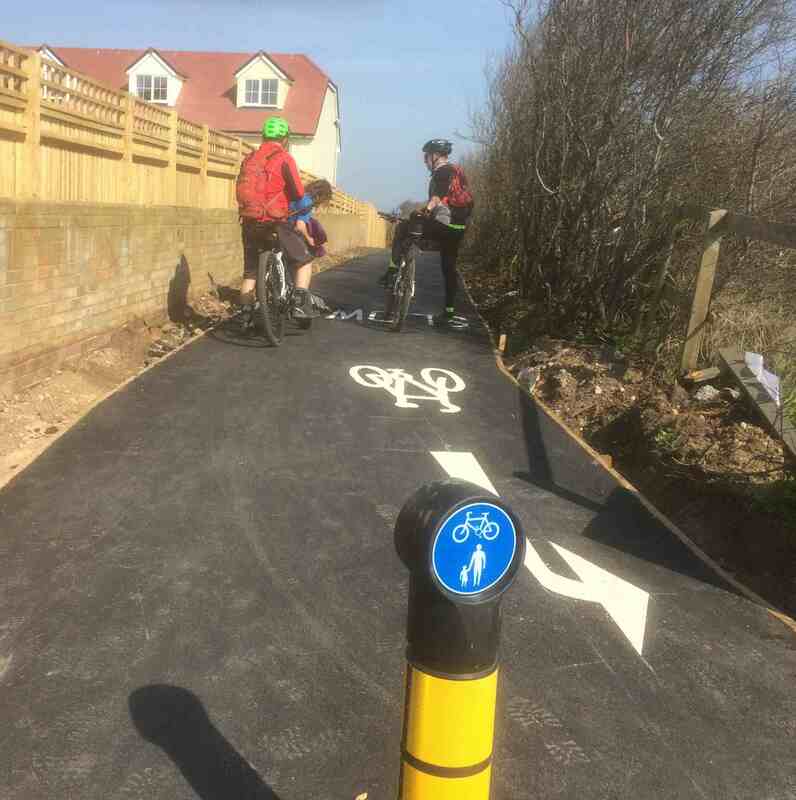 This is an ideal alternative for cyclists looking to ride between Peacehaven and Newhaven whilst avoiding the bottleneck on the approach to Downland Avenue. The official notice suggest this will be complete by the end of November. As one of the items identified by Cycle Seahaven’s review of Peacehaven (http://cycleseahaven.org.uk/peacehaven-cycle-route-ideas-pt-2/) it’s great to see this short section being upgraded to allow safer cycle journeys between Newhaven and Peacehaven on National Cycle Network route #2. 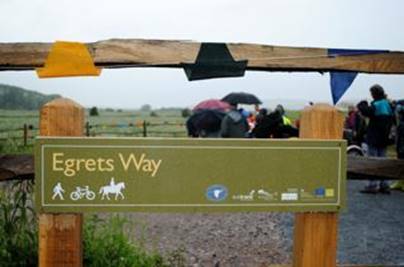 With the Project to build The Egrets Way well into its 3rd year, we have recently become a Registered Charity (No 1155182). This will enable us to raise funds more easily as well as to limit the personal liability of the Trustees (members of the Steering Committee). 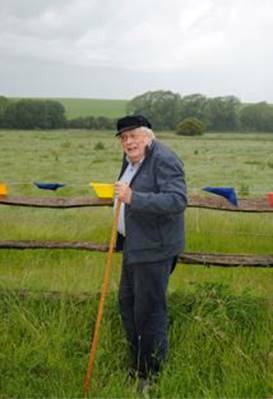 It also means that now only Members of the Project can vote at the AGM. you become a Member at least 3 months before the AGM. Membership does not impose any obligations on you other than to continue to support our aims, so you can resign your membership at any time. It does, however, ensure that you will be kept informed about progress as we continue to work toward the completion of the Project. To become a Member you only have to reply to send an email to the OVCN Secretary, a link is provided below. 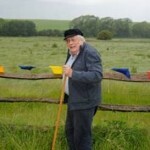 This will conﬁrm that you agree with and support the aims of the OVCN Project and would like to become a Member. The AGM will be held in January, 2015 (date and venue to be conﬁrmed) so to be eligible to vote please sign up by the end of October 2014. Click HERE to send a pre-formatted email to OVCN. 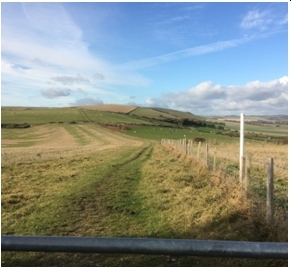 Although we start at the same place as usual for Thursday’s 7pm pub ride – the White Lion, Seaford – we have a change of route for October 9th. Instead of stopping at the Flying Fish we’re mixing things up a bit and heading out to another country pub – This time it’s The Plough and Harrow in Litlington. Starting at the White Lion on Belgrave Road, Seaford at 7pm we ride along Belgrave Road to the mini roundabout and turn left up Firle Road. 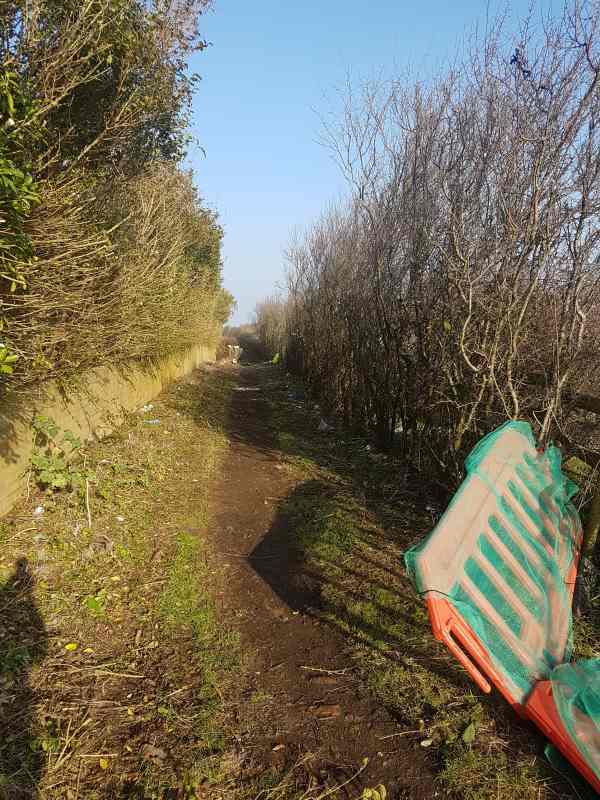 A third the way up we turn right onto Firle Drive and cut through to St Peters Road and The Holt. 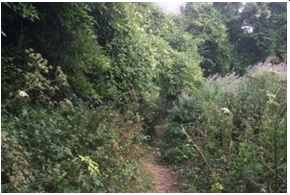 Along The Ridings and across the bottom of Chalvington Playing Fields to Maple Fields. 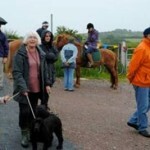 We then head North along a bridleway on the Eastern side of Blatchington Golf Course. We then head East to follow the bridleway down to The Plough and Harrow, Litlington. 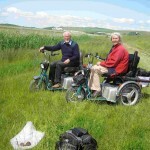 The return route to Seaford is along NCN2 (via Exceat) and other quiet roads back to the White Lion. It’s 4 miles on the outward journey and 5 miles on the return. 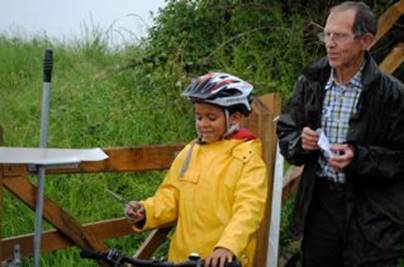 If you are a regular rider then please be aware that we go very slowly, so you may be hanging around waiting. 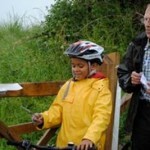 To gauge the terrain have a go at riding the start of the route: Go from the White Lion to the Mini Roundabout. Turn left and go 1/3rd the way up Firle road (to Firle Drive). Over the outward 4-mile route we do the equivalent of this climb about three times in total, interspersed with flat sections and a long descent. Good bright lights are needed as it’s almost dark when we leave, and we’ll be riding on rough ground away from streetlamps. 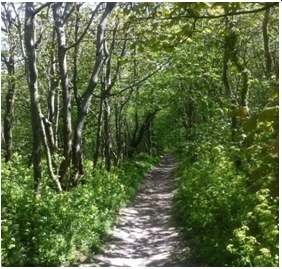 This route is about 25% on grass and chalk trails/bridleways, so you will need chunky tyres and a hybrid or mountain bike. You must wear a helmet. Gloves and a water bottle can make the going easier, but are not essential. With the warm nights we’ve been experiencing you may want to use insect repellent. If you have any questions then please get in touch. See you there? 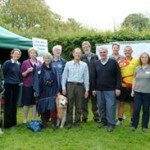 The weather’s STILL holding out and we’re expecting yet another fine day for this week’s slow ride on Thursday 2nd Oct. 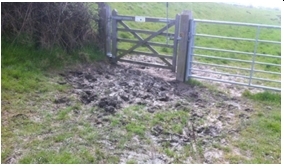 The ground conditions remain dry and dusty, even after the rain we had Monday night and last night. 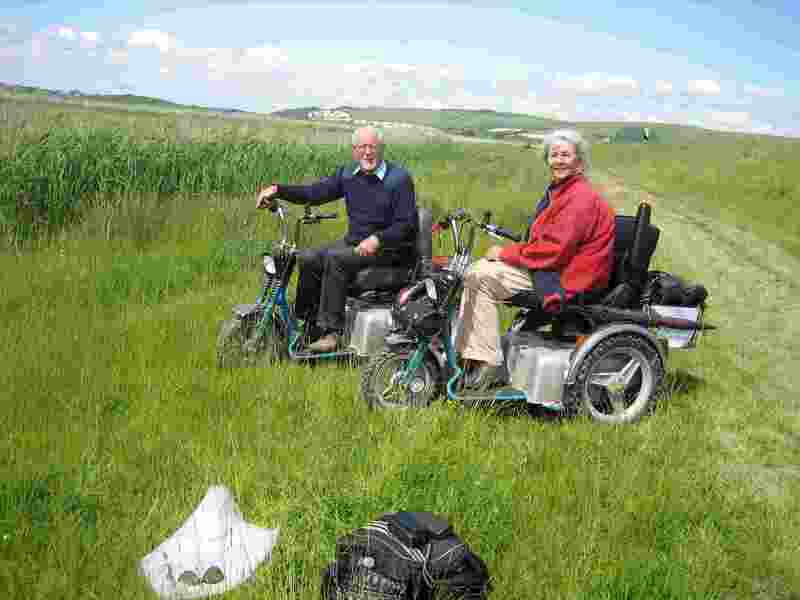 Starting at the White Lion on Belgrave Road, Seaford at 7pm we ride the back way to Bishopstone via Grand Avenue and along the road to Poverty Bottom pumping station. 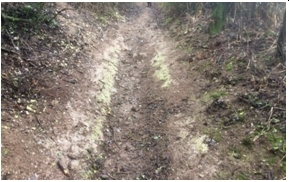 Up the chalky bridleway to Cantercrow Hill and the long fast descent on the back road to the Flying Fish. After some refreshment we take the flatter and easier route home. We expect to be back at The White lion for 9pm. Last week we had twelve riders with a range of about 60 years between the youngest and oldest ages – that beat the previous week’s record of only 50 years difference in age. Good bright lights are needed as it’s starting to get dark by the time we arrive at The Fish. Links to route maps are on our first post about these rides. Click HERE to see it. 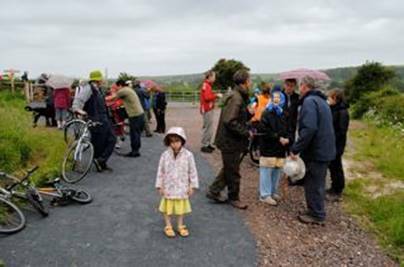 If you are a regular rider then please be aware that we go very slowly, so you may be hanging around waiting – especially on Cantercrow hill. 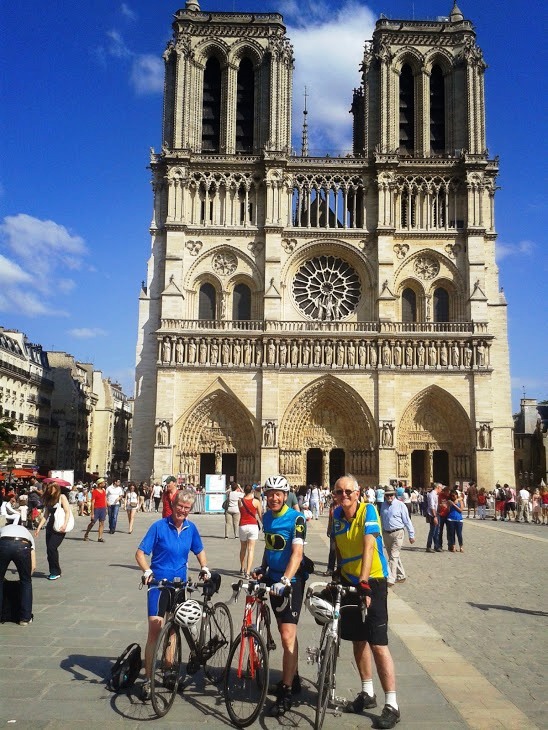 Three of us, all members of Cycle Seahaven, recently cycled to Paris along the Avenue Verte. We were part of a group of nine cyclists from the Phoenix Cycling Club whose aim was to follow this signposted route between the British and French capital cities. 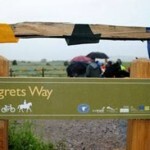 The signposting had been completed in 2012, just in time for the London Olympics. A few of us started in London, at the London Eye and were joined two days later by the others at Newhaven. The distance was 99 miles. In France we took three days to cycle from Dieppe to Paris, a distance of 148 miles which included overnight stops in Dieppe, Gournay-en-Bray and Cergy. 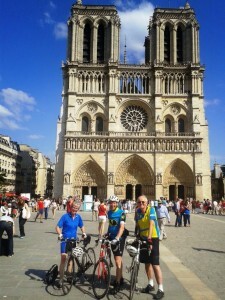 The finishing point in Paris was Notre Dame. We could have done it in two days but decided to take a more leisurely pace, ie our usual touring pace with lengthy café stops. I would like to have said that the entire Avenue Verte from the London Eye to Notre Dame had proved to be a good cycle route but that would have been untrue. Certainly, the first 90 miles in France, between Dieppe and Chaussy were great. The route was well signposted, there were no busy roads and the scenery was superb. In sharp contrast the first 40 miles in England, between the London Eye and the start of Worth Way, just outside Crawley, left much to be desired. Sometimes we were on busy roads, at other times on dirt tracks and much of the route was poorly signposted. I won’t go into detail here but suffice to say that I’ll never do that part of the Avenue Verte again! 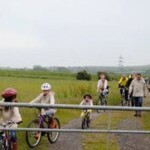 The section from Worth Way to Newhaven was much better with the Cuckoo Trail being the best part of the route that day. However, it fell a long way short of the first 90 miles in France. After a rest day in Paris we cycled back to Dieppe on a largely different route with overnight stops at Chantilly and Gournay-en-Bray. 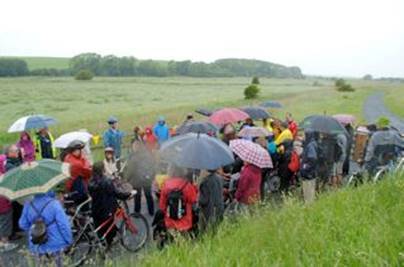 Each cyclist had a copy of the Official Guide to the Avenue Verte which I reviewed in March. It proved to be a great help, especially when we found ourselves off-route which was on numerous occasions when leaving London and also on the entry to Paris. It had been a largely enjoyable ride and although some parts of the Avenue Verte couldn’t be described as cycling friendly, we had had some great times, both on and off the bikes. And, of course, a ‘chill out’ day in Paris was a bonus. 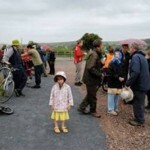 I’ll be writing a review of the Avenue Verte which will be posted to the Cycle Seahaven Blog soon. It should make for interesting reading for anyone contemplating cycling to Paris. 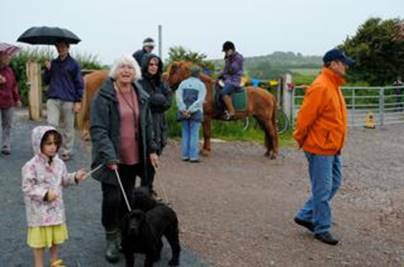 The weather forecast for rain did not deter the 50 walkers, horse riders and cyclists who attended the official opening of the Southease to Rodmell section of Egrets Way. 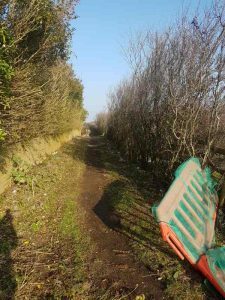 This latest section to be completed (also called Phase 2, Phase 1 being the Kingston to Lewes section) starts at a wide gate near Southease bridge, and a lovely all-weather surface follows the river bank before turing left to Rodmell. There is an unmade section in the middle, but we hope this will be rectified soon. Once at Rodmell you can visit Monks House, and a little further up the road is the Abergavenny Arms. You can get to the Southease end by train. Visitors to Monks House or the Pub can use their carparks. 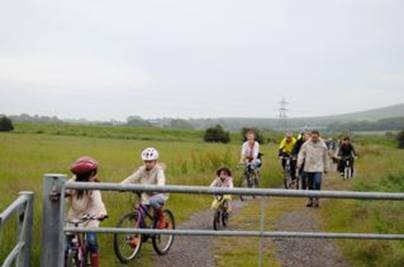 Cycle Seahaven were in attendance with their regular ‘Dr. Bike’ tent and three volunteer mechanics – plenty of ‘shed bikes’ were working much better after free air, oil and a bit of knowledge-sharing on how to tweak a bike. The local policing team were there too, applying security markings to bikes – also free. Abergavenny Arms donated 100 cupcakes (yes, one hundred) to give to the hungry crowds – my favourite being the ones with salt caramel icing. 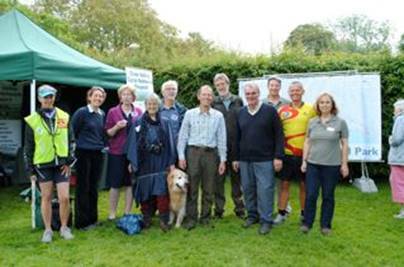 Refreshments were further complemented by the Ouse Valley Cycle Network team who laid on free fruit juice. The sun soon came out and the day became wonderfully sunny, making the most of the gardens at Monks House (National Trust), which were opened for free to those attending the celebrations. The South Downs National Park Authority were also in attendance, with a huge map and information on how the National Park is being run and developed. Did I mention the price for attending this celebration? Yup, all free. 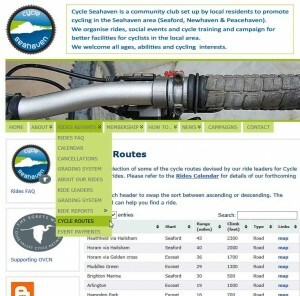 Click HERE for more Cycle Seahaven info on Egrets Way and go to http://egretsway.org.uk where you can sign up to support this amazing project.